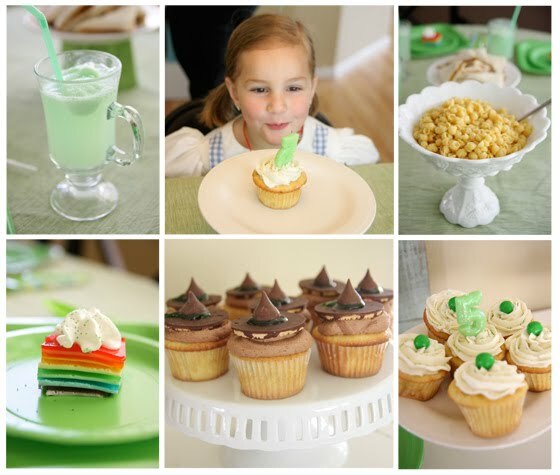 Tangled and True: Wizard of Oz Party! Stella's birthday party was Saturday. I don't know what I was thinking when I scheduled it, our house is torn to shreds (literally) there is a fine layer of dust covering everything.. it's awesome. I was banking on nice weather but we woke up to SNOW on Saturday morning and by the time the party started it was a balmy 39 degrees. In the end, it all worked out, and Stella was happy, which is what is most important. 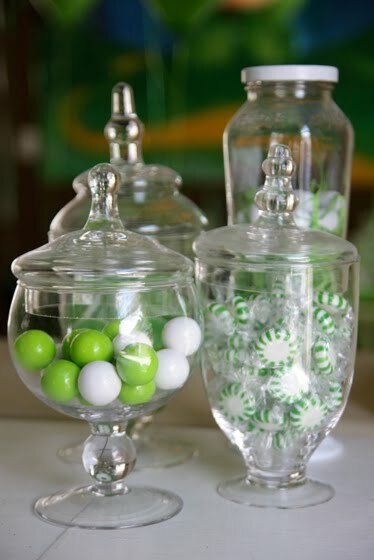 We decorated everything green, to look like the Emerald City. My mom painted a mural on our mirror, it was quite a hit! On the menu, Stella's choice of macaroni (to look like the yellow brick road) pb&j on WHITE bread, rainbow jell-o. She wanted rainbow chip cupcakes.. I tried to doctor them a bit, but they still tasted like rainbow chip. Oh well. Grandma read the Wizard of Oz to the girls so they knew the story before we started the games and favors. 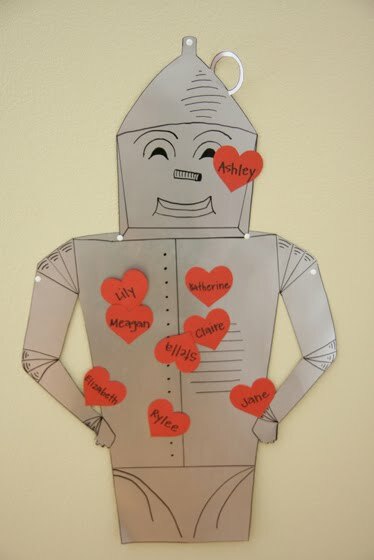 Pin the heart on the tinman (this is the only game we have a picture of, we also did freeze dances, memory quiz, we made rainbow bracelets out of twizzlers, etc). 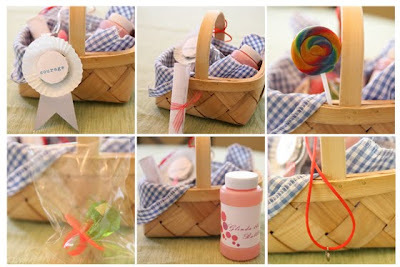 We had Dorothy baskets for all the girls. After each game they collected something that represented a different character in the Wizard of Oz. 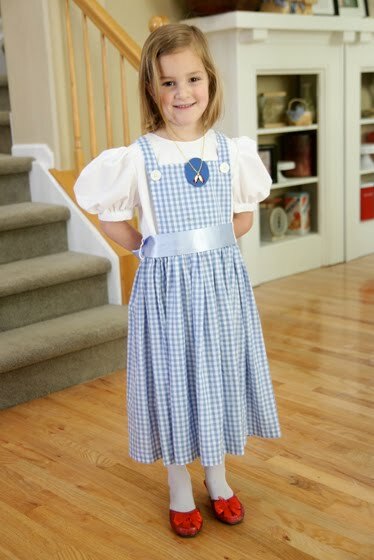 The courage medal was for the Lion, the diploma for the Scarecrow, the Lollipops for the Munchkins, the green ring pop for the Wizard, bubbles for Glinda, and the heart necklace for the Tinman. I didn't get everything done, that I'd wanted to, but considering all the circumstances, and all the help from multiple people I think it turned out really well! Happy Birthday to the best five year old I know! *idea originally seen on One Charming Party. 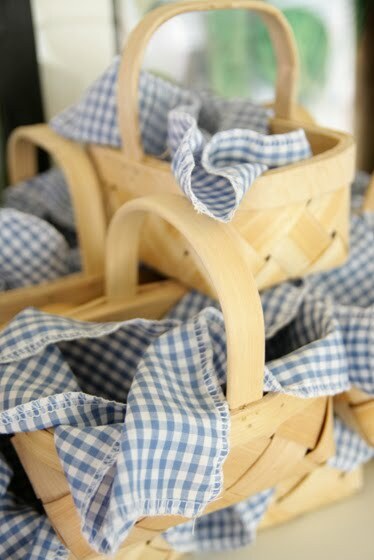 Where did you find the baskets? Thanks!